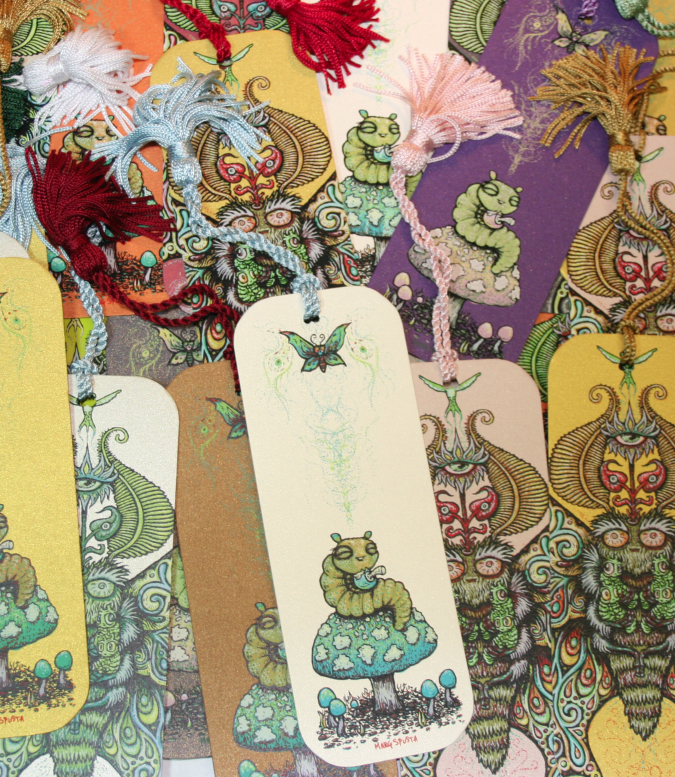 Varieties of Blissed Out Bug Bookmarqs will be randomly included with Mini Print Pack orders. Marq. You’re killing it! My daughter, Hannah, absolutely loves anything Bliss Bug and reading. You’ve certainly got her attention on this one. Looks like we’ll be needing some more Bliss in our shopping cart. Ok, so the order is up! If at all possible Hannah likes the pink and purple book marks with shrooms and worms. Thanks again and we can’t wait to see what’s next!